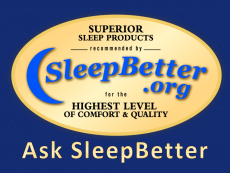 Ask SleepBetter: Occasional Sleep Drug Use? “I’ve always thought of myself as a good sleeper and one who performs best on a full night’s sleep. After working in a somewhat stressful but exciting job I found for the first time that my mind was racing quite a bit and it prevented me from falling asleep. My racing thoughts can often be simple excited about a possible plan of action I have or sometimes (especially if I end up awake for sometime) they lead to more anxious thoughts about the future. After doing even cursory research, I found that this sort of sleep stress is perhaps the most common among otherwise healthy adults and I’m starting to practice some of the basic techniques for a better night’s sleep. 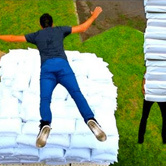 Thanks so much for visiting SleepBetter.org. It sounds like you’re working toward improving your sleep, and we applaud you for that! The first thing you should do when considering the use of even over-the-counter sleep drugs is have a discussion with your doctor. Most all drugs have some kind of side-effect, and they should be talked about face-to-face. After discussing with your doctor, one takeaway you should have is that all sleep drugs, including Ambien and other over-the-counter and prescription drugs, are designed for occasional use. What “occasional” means is up for discussion. We understand that some people do sometimes need a little help sleeping, but we hope that everyone will work, like you are, toward achieving sleep every night without medications. Please continue your education about calming techniques, and make it a goal for 2015 to use sleep drugs as little as possible. Ask SleepBetter: Do Cold Rooms Cause Nightmares?